For her, old people have wrinkles, grey hair and they are weak. And she is not such a person. I liked her self realization. Positiveness. Negating the negativity. Distancing from bad feelings. Kids are more honest. Kids are more positive. Kids are more straightforward. We should learn these traits from our kids. But what we generally do is suppress their positivity and frankness. And make them like us. That is bad. 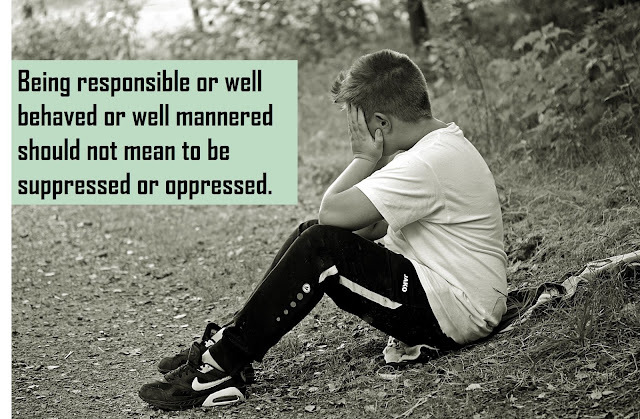 Being responsible or well behaved or well mannered should not mean to be suppressed or oppressed. We demoralize our kids. We disrespect their confidence. We laugh on their positivity.